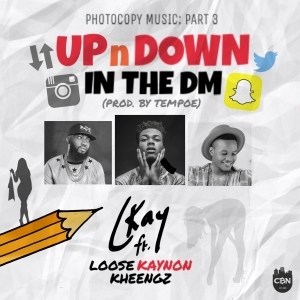 CKay, CBN Bad Musician Bad Producer, releases Part 3 of his Photocopy Music series, "UPnDOWN In The DM" (ft. Loose Kaynon & Kheengz). Definitely an interesting sound. The beat was refixed by talented producer, Tempoe. Check it out and let us know what you think! Follow him on Twitter/Instagram/Snapchat @CKay_Yo. Listen and let us know what you think!